REI AUTOCOMP | Real Estate Investor Comp Analysis Software - Get Property ARV in Seconds! No Contracts - Monthly Plans $9.97! ​JOIN A COMMUNITY OF 1000+ REAL ESTATE INVESTORS WHO HAVE DISCOVERED HOW TO DRAMATICALLY REDUCE THEIR REAL ESTATE PROPERTY ANALYSIS TIME BY 98%! Send these reports to buyers and/or private lenders. Comparable sales in 38 States! ​*Import Data Option for 12 states. Your Company name, address and phone on each report! Instantly see the price ranges for each neighborhood! MLS data, Title Company Data, API data from several online sources. REI Autocomp - provides detailed high quality sold data from multiple sources on the web helping investors create accurate property evaluations on the fly. ​With key values such as the ARV (after repair value), gross profit and historical sales charts you'll be sure to make intelligent decisions on each and every buying and selling transaction. ​Pull comps in your neighborhood the SMART WAY! Learn more about this amazing software that has become a MUST HAVE real estate analyzer tool for any real estate investor. Over $40,000 In Profits Below!!! Are you ready to SCALE your REI business? SAVE TIME - Pulling comps and practicing due diligence does not have to be a hassle. What used to take hours can be done in SECONDS! This is the employee that never calls in sick and does the same exact job over and over! AUTOMATION - Comparable sales on any property in 38 states! Now you can really OUTSOURCE the property analysis side of your real estate business! SCALEABILITY - Home values and property evaluation has never been so easy. This technology will allow you to grow at lightning speed - Do more deals remotely with larger TEAMS! Over 2,961 Reports Ran Last Month 11/2018! Members are pulling comps all day, everyday. 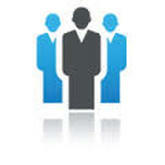 Hours of training videos on not only how to use the software but how to properly evaluate deals. "I have been using your software along with mls comps and I can say that you have a really good product and I am happy that I am a life time member. In fact I have recommended your software to couple of my real estate investor friends as well." "I can't tell you how much time and money REI AutoComp saves me when I'm doing 10 deals at once. You gotta get this tool working for you!" NEW VERSION: REI Autocomp Version 15.7! Finally a real estate investing software calculator that's easy to use and produces highly accurate comparable analysis valuations to make sure your house flipping business runs smoothly with the click of a mouse. THIS SPREADSHEET ROCKS! We spent the last two years developing the worlds only most comprehensive residential real estate investing calculator tool. Wholesaling houses has never been easier. REI AutoComp is a deal evaluator spreadsheet for investors which uses a future patent pending technology to extract comparable sales from several different sources. 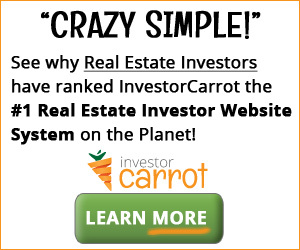 This real estate deal evaluation software will blow your mind! This real estate investor software was created to simplify the analysis process. Most tools out there focus on cash flow analysis or rental analysis however in order to get accurate numbers you must start with what the property is worth (today's market value). This is what you should expect from a deal evaluation calculator tool. Yes! You will know your MIN Offer and MAX Offer in less than a few MINUTES! Using the software is as easy as 1-2-3. 1. FIND - Enter in the subject property details (full address, asking price) and click FIND. 2. REFINE - Enter your desired profit and the amount of repairs. 3. GO! - Select one or all three sources of comps and click "Import"
One license for the software is granted for each account you purchase and will function on the computer you register your software on. *** This is not a web-based application the software runs from Excel on your desktop.